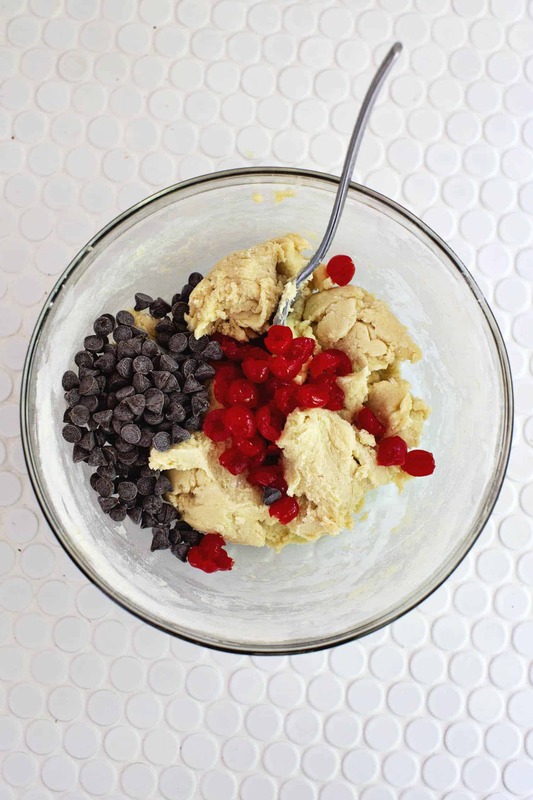 The base of this cookie recipe is simple and could easily double as a basic chocolate chip recipe if you wanted. But I love the addition of the maraschino cherries here as they add more flavor and a fun pop of texture. 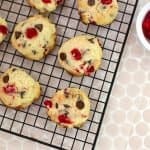 You could use dried cherries instead, but the softness of the maraschino (and sweetness level) is what makes these cookies remind me of chocolate covered cherries. 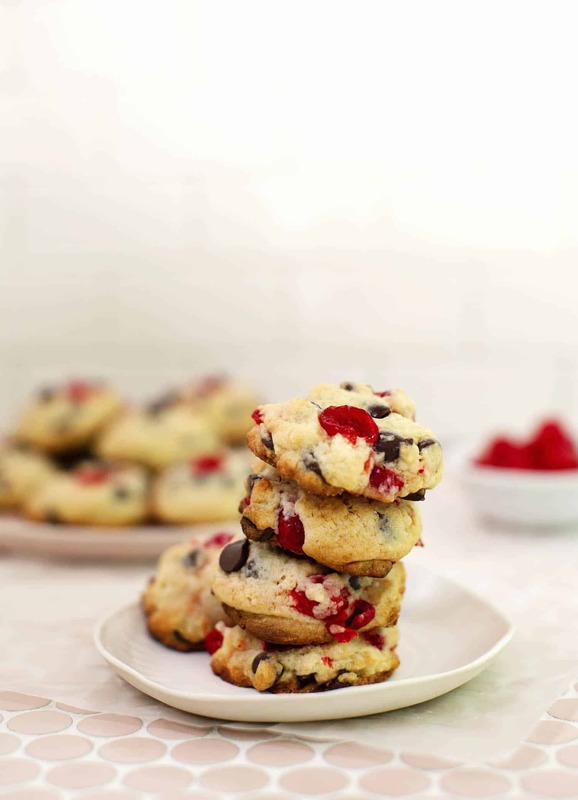 I added just a pinch of sea salt to each cookie just before baking but it’s totally optional. I just love dark chocolate and sea salt together though—probably my favorite dessert combo. 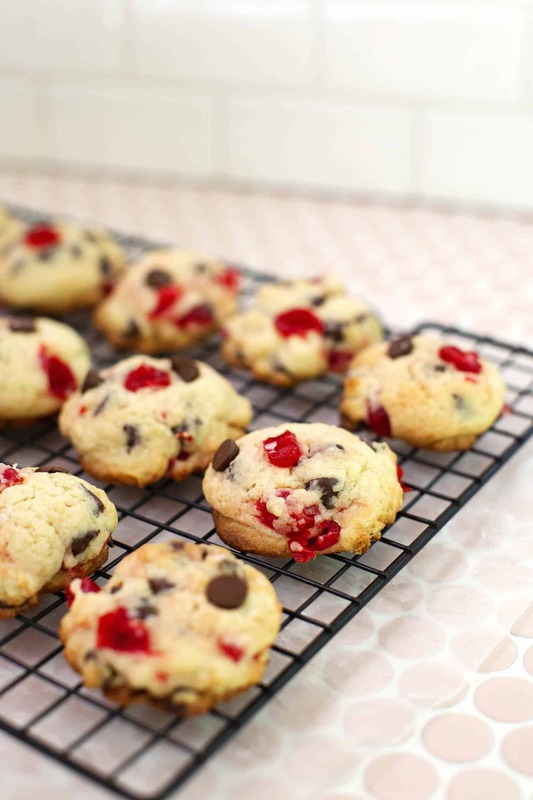 I’ve added many types of fruits into my cookie recipes before, but never cherries. 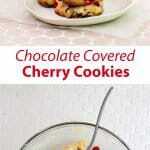 Seems interesting, and a great way to use up my cherries in the fridge! 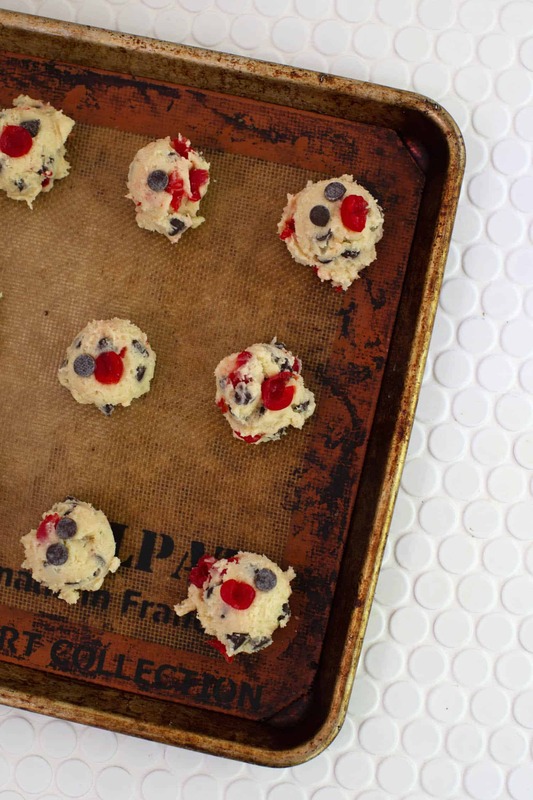 What an interesting recipe, I’ve never baked cookies with maraschino cherries before!